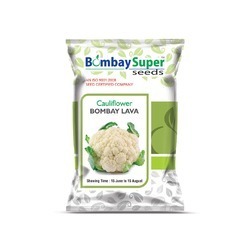 We are a renowned name that is actively committed towards offering qualitative Cauliflower Seeds. Our provided Cauliflower Seeds is available in various packaging options for our clients. Medium Maturity 65-70 days. Leaves are green colour. Curds are compact & creamy white. Semi dome shaped with 900g- 1 Kg weight marketable curds % is very high. Abiding by quality assured policies, we are engaged in providing premium quality Cauliflower Seed Madhvi . These seeds are widely acknowledged among our clients for their mouth-watering taste and high nutrition value. In tendon to meet growing demands of the clientele, our firm is providing Cauliflower Seed. Our seeds can be accessed in different sizes and weight. These seeds are broadly used in residential and hotel kitchen owing to their longer shelf life, easy to digest and low prices. The premium fresh cauliflower is offered by us, which is cultivated in hygienic and controlled environment, under the expert supervision. The company is the renowned fresh cauliflower manufacturer and exporter in india. As one of the finest processors of cauliflower seeds, we have been successful in serving a large number of industrial and non-industrial clients from agriculture sector. Being nutritious, the seeds offered can offer better results for about 3 years if stored in proper conditions. 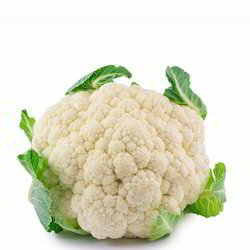 We offer high quality range of Cauliflower Seed. It is highly acclaimed for its quality and purity. Our range do not require supplements or any type of agro chemicals. We offer our range at market leading prices. - Strong plants suitable for growing in temperate climatic conditions. Cauliflower Plant height is 30 cm.